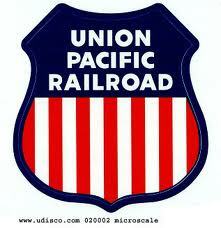 Union Pacific Railroad earned the No. 6 spot on the 2016 Best Companies for Veterans list, compiled by Monster and Military.com. This is the second year the company was listed among the top 10 businesses for its hiring initiatives and recruitment, onboarding and retention focused on veterans. The company also was recognized on the 2017 Military Friendly Employers list by MilitaryFriendly.com. Ratings are based on veteran hiring, career advancement, culture, retention, and policies and compliance. In each category, Union Pacific exceeded benchmark standards by more than 20 percent. Roughly 17 percent of Union Pacific employees have military experience, and some remain active in the National Guard or Reserves. Union Pacific actively recruits veterans through various initiatives, including its membership in the U.S. Chamber of Commerce Veteran Employment Advisory Council, through which the company participated in 14 Hiring Our Heroes career fairs in 2015. Union Pacific recruiters also participated in 11 virtual career fairs and 135 other military fairs and events, such as those facilitated by Wounded Warrior Project. Union Pacific offers unique employment opportunities for veterans, including train crew, diesel mechanics and electricians, assistant signal workers and track laborers. Engineers in the computer science, electrical, civil and mechanical areas will find leadership opportunities in the Information Technologies Department or through the company’s Operations Management Training Program.